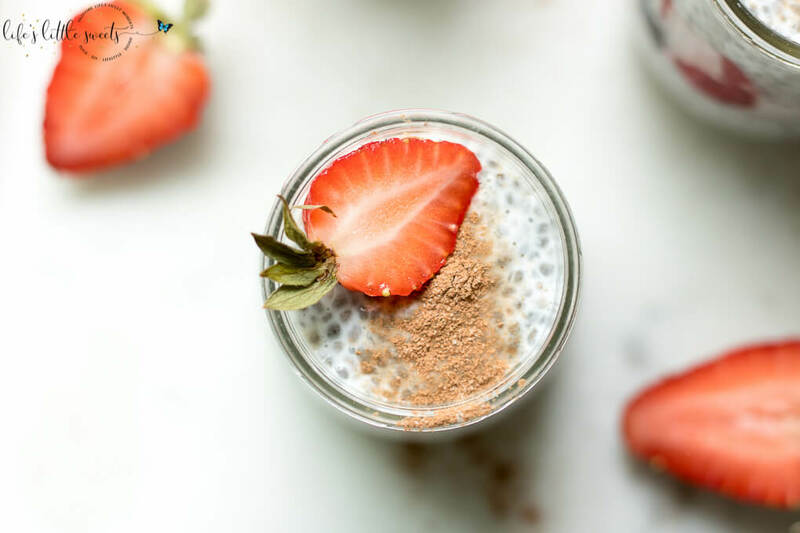 In a medium bowl or 32 ounce (2 1/2 cup) mason jar (with lid), mix 2 cups milk (or same amount non dairy milk) with chia seeds, pure vanilla extract, cover and let sit in the refrigerator for 5 minutes. After 5 minutes, take out and stir or just shake it if it's in a mason jar, then allow to sit for 1-2 hours or overnight. When it's done setting up in the refrigerator, divide into portions and serve with optional fruit, berries, maple syrup or sweetener of choice. Enjoy!